It seems like conventional medicine has ignored for several decades that lower blood sugar prevents diabetes. Medical researchers reevaluated the normal range for blood sugar and hemoglobin A1C, which is a 3 months average of blood sugar values. In 2016 UCLA researchers reported that 46% of adults in California are either prediabetic or have diabetes. In contrast 33% of young adults (age 18 to 39) also have prediabetes. What is worse is the fact that even patients with prediabetes get complications. Normally only patients with diabetes suffer from these. These include kidney disease, retinal problems with loss of vision, neuropathy, hardening of the arteries and cancer. Key to preventing this from happening is to recognize that prediabetes is already the beginning of diabetes. 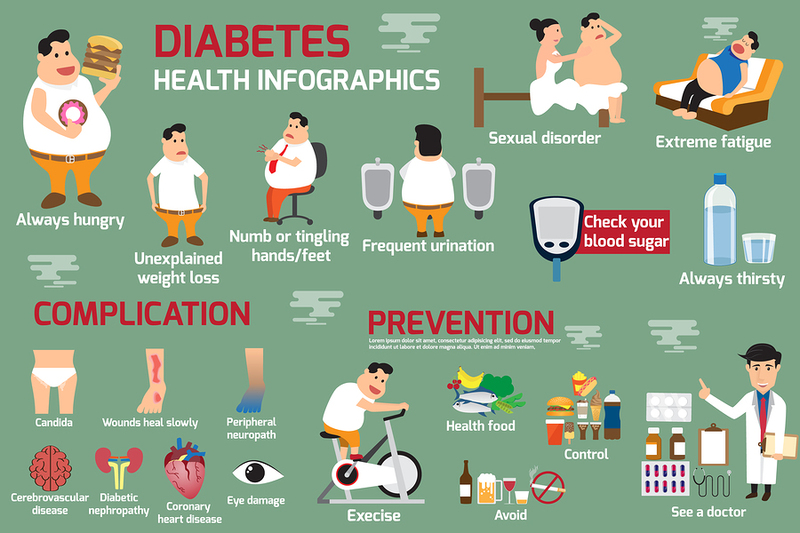 Not only is it important to prevent diabetes, but prediabetes as well. The conventional test for diabetes is a fasting blood sugar. In the past there was a consensus that patients with prediabetes had a fasting blood sugar between 100 and 125 mg/dL (5.6 to 6.9 mmol/L). 126 mg/dL (7 mmol/L) or higher on two separate tests indicates that you have diabetes. This test gives an average of blood sugar over 2 to 3 months. Physicians thought that a hemoglobin A1C test below 5.7% would be normal, between 5.7 and 6.4 percent they considered it to be prediabetes and at 6.5 or higher on two separate tests meant a diagnosis of diabetes. Many researchers have said that the normal values from the guidelines for blood sugar or for glycated hemoglobin A1C are too high. This is the reason why diabetic complications developed even with prediabetes. At the 22nd Annual World Congress on Anti-Aging Medicine In Las Vegas (Dec. 10-14, 2014) Dr. Piliszek stated that the normal range for hemoglobin A1C is skewed in the medical literature. It should be: 3.8% to 4.9%. 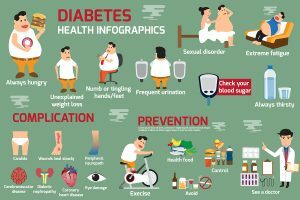 This is very important to know for diabetics and any caregiver who looks after diabetes patients. If you consider a hemoglobin A1C of 6.0 as “normal”, the diabetic patient has the risk of dying prematurely of a heart attack or a stroke. According to the new guidelines even a patient whose hemoglobin A1C is 5.5 has diabetes and needs aggressive treatment to prevent complications associated with diabetes. Conventional guidelines would have considered this patient to be normal. A 1999 study made it clear that patients with a blood sugar of more than 85 mg/dL were at risk of developing diabetes complications. Researchers observed about 2000 patients with fasting blood sugars of more than 85 mg/dL over 22 years. About 40% of them died of heart attacks or strokes! Because of studies like this, physicians demanded the new diabetes guidelines. The authors concluded that fasting blood glucose in the upper normal range was an independent risk factor of cardiovascular death. Prediabetes is not a separate diagnosis, but is mild early diabetes, which is reversible with aggressive treatment. Dietary changes (cutting out sugar and refined carbs) are often effective. In some cases the addition of metformin may be required. Fasting blood sugar of 85 mg/dL or less is normal. Hemoglobin A1C of 3.8% to 4.9% is the new normal range. These values are based on observing patients over a long period of time and seeing whether or not they develop complications from diabetes. Most noteworthy, uncontrolled diabetes leads to complications like damage to the lining of the arteries in all the key organs. It is the cause for the following conditions: kidney damage (nephropathy), eye damage (retinopathy), brain and nerve damage (neuropathy), as well as heart attacks and strokes (vascular damage). Certainly, patients often end up with dialysis when kidney failure has set in. Retinopathy causes blindness and neuropathy leads to excruciating pain. 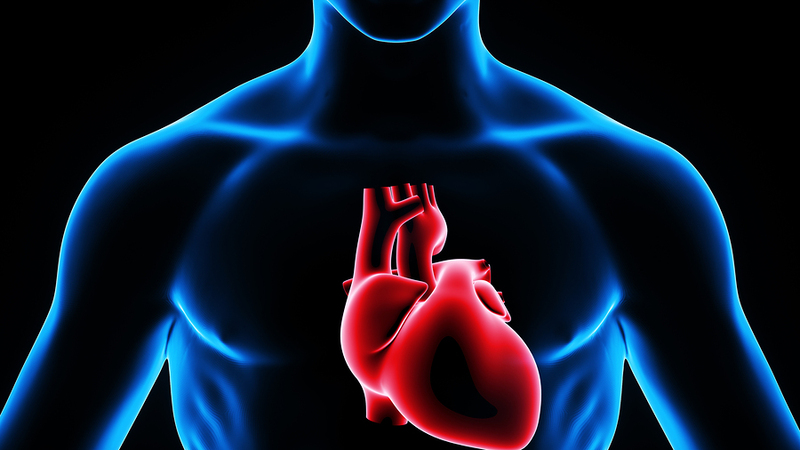 Heart attacks and strokes often cause premature death. Those who ingest a high-glycemic diet have a 49% higher risk of getting lung cancer than those with a low-glycemic diet as this link from the MD Anderson Cancer Center showed. A research group found that calorie restriction reduced fasting insulin levels in a group of overweight men and women. Another study showed that restrained eating patterns lower fasting glucose and postprandial (after meals) glucose. As a result it also improved insulin sensitivity in normal weight individuals. First of all, the obvious fact is that excessive sugar intake is harmful. But in addition a drastic reduction of refined carbs is also needed, as they just turn into sugar within half an hour of ingesting them. Cut out potatoes, pasta, and bread. You may have a slice of rye bread or full grain bread occasionally. This type of diet is called a low-glycemic index diet. Hence, as indicated earlier a study from the MD Anderson Cancer Center has shown that lung cancer is more common the higher the glycemic index is and is also more common in diabetics. Also, a Mediterranean diet has been shown to be anti-inflammatory. As diabetes and prediabetes are associated with chronic inflammation, it is useful to go on a diet that counters inflammation. Similarly, the DASH diet, which was developed for high blood pressure patients, is also anti-inflammatory. Here are a few examples of snacks that may be helpful. Finally, include fish and fish oil supplements in your diet. These contain omega-3 fatty acids, which are anti-inflammatory. Another useful piece of advice: eat lots of vegetables and salads as they contain healthy bioflavonoids and antioxidant vitamins. This stabilizes the lining of your arteries. The old blood sugar and hemoglobin A1C guidelines need a significant revision. In contrast, new guidelines based on actual measurements and clinical trials that showed no complications of prediabetes on the long term have replaced them. A fasting blood sugar of 85 mg/dL or less is normal. A hemoglobin A1C of 3.8% to 4.9% is now the new normal range. Consequently, the doctor needs to be more aggressive about early nutritional intervention and probably include metformin as well to restore insulin sensitivity. It is no longer appropriate to allow complications of diabetes like nephropathy, retinopathy or neuropathy to develop. Unfortunately food manufacturers still overload processed food with sugar. Each patient needs to be vigilant about the food he/she eats. Therefore, low glycemic nutrition is the mantra to follow. Also stick to natural, unprocessed foods instead of the highly processed foods that populate the shelves of the supermarkets. I am going to review fish, the good and the bad. Fish can be very nutritious, because it contains a lot of healthy omega-3 fatty acids. But because of pollution it also has various degrees of mercury, PBC’s and other impurities. I will discuss the good about fish oil first. Later we will learn that wild salmon is one of the best fish to eat, while we should avoid tuna due to mercury pollution. Omega-3 fatty acids, also called marine oil, is an essential fatty acid. It balances omega-6 fatty acids of which we eat too much. Processed foods are full of omega-6 fatty acids, because they keep a long time on the grocery shelves without turning rancid. But when the omega-6 to omega-3 ratio is getting higher than 3:1 we are experiencing a problem. The body stimulates the arachidonic acid pathway, a metabolic pathway that produces inflammatory substances and arthritis. An old home remedy for arthritis is to use fish oil (cod liver oil). It changes the omega-6 to omega-3 ratio back to more normal levels, which can help arthritis patients. Early stage of arthritis can even heal. Many processed foods contain only omega-6 fatty acids, because this is the cheapest way to produce them (they are based on vegetable oils). Instead of this you want to eat healthy fats like omega-3 fatty acids contained in nuts and fish. You can also add molecularly distilled, high potency omega-3 fatty acids (purified fish oil) as a supplement to help restore the balance between omega-6 and omega-3 in the food you eat. Corn oil, safflower oil, grape seed oil, soybean oil, cottonseed oil, canola oil and peanut oil contain omega-6 fatty acids. 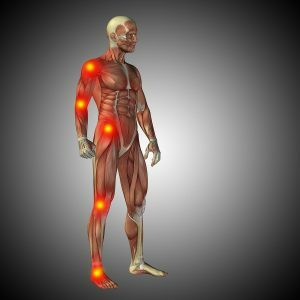 These are the ones that cause inflammation and disease. You must avoid them! Compare the metabolism of omega-6 fatty acids with that of omega-3 fatty acids. The linoleic acid of omega-6 fatty acids metabolizes into arachidonic acid, which causes pro-inflammatory mediators, PGE2 and LTB4 as shown in the metabolism link. 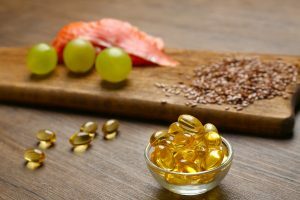 On the other hand with omega-3 fatty acids alpha-linolenic acid (ALA) metabolizes into EPA, DHA and the anti-inflammatory mediators PGE3 and LTB5. It is easily understandable why a surplus of omega-6 fatty acids from processed foods will disbalance the omega-6 to omega-3 ratio. This ratio should be 1:1 to 3:1, but many Americans’ omega-6 to omega-3 ratio is 6:1 to 18:1. Omega-6-fatty acids cause arthritis, heart disease and strokes. Be particularly careful avoiding soybean oil. It has become the most popular oil in the last few decades to foul up the omega-6 to omega-3 ratio. We consume it through processed foods and cooking oils. When it comes to balancing omega-3 and omega-6 fatty acids in your diet, be aware that nutritional balancing can help you restore the ideal omega-6 to omega-3 ratio of 1:1 to 3:1. An easy way is to cut out processed foods as much as possible. Supplement with molecularly distilled fish oil capsules to add more omega-3 fatty acids into your food intake. Here is an example of rheumatoid arthritis patients that received omega-3 supplements. After 24 weeks their joint swelling and tenderness decreased significantly. Rebalancing the omega-6 to omega-3 ratio was able to treat depression as this research showed. This makes you wonder how much depression may be caused by overconsumption of processed food. He mentioned that these doses are empirical, but in his experience this is what really works. Due to quality differences he suggested that you buy fish oil capsules in a health food store. Stay away from discount stores (the quality is the worst) and drug stores. Other healthy oils are olive oil and coconut oil. They are also useful for cooking. Pollution of the air, soil and rivers is causing accumulation of mercury and other heavy metals in ocean water. This affects fish that live in the ocean. There is a pecking order of predators with the larger fish feeding on the smaller fish. The bigger the predator fish, the more mercury and other pollutants they accumulate. According to this link the safest seafood is wild salmon, pollock and oysters. Tuna is too high in mercury, so is swordfish, and shark is even worse. I only consume fish from freshwater lakes or rivers, as well as salmon, oysters and shrimp. This way I get the lowest exposure to mercury. Why is mercury bad for you? It is a neurotoxin. It can harm your brain, heart, kidneys, lungs and the immune system. Specific symptoms can include loss of peripheral vision and lack of coordination with balancing problems. There may be impairment of speech and hearing. The key is to avoid mercury exposure. Rancid fish oil contains free radicals that attack the lining of the arteries. There would be no point in taking fish oil, if it is rancid and destroyed what you want to protect. When you store fish oil, it can interact with oxygen and form lipid peroxides, which are free radicals. The Council for Responsible Nutrition’s quality standards monitors rancidity in fish oil. Get fish oil that meets or exceeds the Council’s standards. If you refrigerate fish oil, it stays fresh longer. The first line of defense is to stick to the smaller fish. They are they prey of the large predator fish. The following fish/mussels belong into the low mercury group (alphabetical order): anchovies, catfish, clam, crab, crawfish, flounder, haddock, herring, mackerel, mullet, oyster, perch, pollock, salmon, sardines, scallops, shrimp, sole, squid, trout and whitefish. You may want to supplement your omega-3 fatty acid intake by fish oil capsules. It is important that you choose the more expensive higher potency products. A molecular distillation process that removes mercury, PCB and other heavy metals creates these higher potency products. This way you only get the enriched omega-3 fatty acids in pure form. EPA and DHA in one capsule should be in the 900 mg to 1000 mg range, not less. I take 2 capsules twice per day as a daily supplement. This helps you as indicated above to balance the omega-6 to omega-3 ratio, which cuts down any inflammatory process in you. Omega-3 fatty acids have multiple anti-inflammatory effects. This helps for treating arthritis, osteoporosis, preventing heart attacks and brain shrinkage. Even depression can be influenced positively when krill oil and fish oil are both taken at the same time. It is best to think about krill oil and omega-3 fatty acids (fish oil) as complementary marine oils having multiple beneficial effects on the body. Studies have shown that arthritis and osteoarthritis improve with krill oil, but also with fish oil. Similarly, heart attacks and strokes are prevented with both krill oil and omega-3 fatty acids. It appears that both oils reduce inflammation in the arteries that is associated with high blood pressure, diabetes, obesity and metabolic syndrome in obese people. C-reactive protein measuring inflammation was reduced by krill oil up to 30% compared to placebo within 30 days. Patients with arthritis had 20% reduction in stiffness and pain. Children received cod liver oil in the past to prevent rickets. In the 1960’s Dale Alexander wrote a book called “Arthritis and Common Sense”. 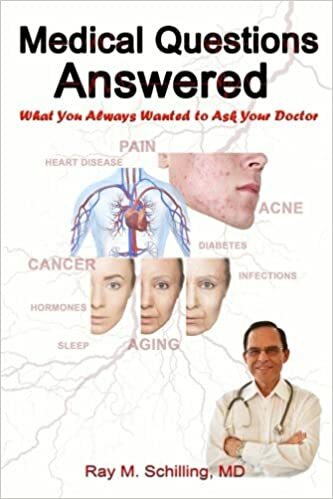 Since then medicine has been revolutionized in the late 1990’s by the idea that inflammation in the body is responsible for high blood pressure, diabetes, heart attacks, strokes, arthritis and even Alzheimer’s disease. It is in this area that omega-3 fatty acids are an important supplement as fish oil capsules and krill oil capsules. These supplements can be bought molecularly distilled to be free of mercury and other pollutants. The anti-inflammatory effect of omega-3 fatty acids is a powerful preventative for all these diseases mentioned. It no longer is a question, whether these supplements work. It has become a fact backed up by large studies including mortality statistics. Even the FDA has included seafood into their food recommendations. The key is to rebalance your omega-6 to omega-3 ratio and incorporate marine oils in your diet. Your body will thank you for it with a longer, healthier life. Dr. Mark Rosenberg gave a talk on prevention of telomere shortening. This was presented at the 24th Annual World Congress on Anti-Aging Medicine (Dec. 9-11, 2016) in Las Vegas that I attended. The detailed title was: “The Clinical Value of Telomere Testing”. 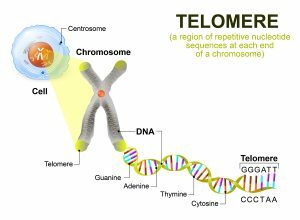 Telomeres are the caps at the end of chromosomes. They are very important in the aging process. Prematurely shortened telomeres are linked closely to all major diseases like cardiovascular disease, cancer, diabetes and more. Telomeres are also a measure of the aging process. Aging occurs due to a decrease of the number of cells in organs and/or because of a lack of functioning of these organs. Telomeres get shortened every time a cell divides. But when the telomeres are used up, there comes a time when cells can no longer divide. These cells become senescent cells or they enter apoptosis (programmed cell death). The senescent cells can become a problem when they get transformed into cancer cells and their telomeres lengthen again. These cancer cells divide rapidly and this can become the reason why cancer patients to die. What is the significance of telomeres? Telomere dysfunction is the first sign that the telomeres are getting shorter in a person compared to the average telomere length in a comparable age group. This is not only important for aging, but also has clinical implications. The shorter telomeres are, the higher the risk for cardiovascular disease. Telomere length also provides prognostic information about the mortality risk (risk of dying) with type 2 diabetes and for many cancers. Many physicians incorporate a telomere blood test into periodic health checks, if the patient can afford it. Here are a number of things we can do to lengthen our telomeres. Rosenberg mentioned that the strongest effect on telomere lengthening comes from caloric restriction and weight loss. 80 years ago they showed at the Cornell University that rats put on calorie restriction had a 30% increase in their mean and maximum lifespan. Many research papers have confirmed that the same is true in man and that the common denominator is telomere lengthening. Next are regular physical activity, meditation, reduction of alcohol consumption and stopping to smoke. Taking antioxidants and omega-3 fatty acids regularly will also lengthen telomeres. Improving one’s dietary pattern by adopting a Mediterranean type diet that contains cold-pressed, virgin olive oil. Telomerase activators. Here is some background on the TA-65 telomerase activator, which is based on Chinese medicine. A one year trial was completed with 250 units and 1000 units of TA-65 per day. The lower dose (250 units) showed effective telomere lengthening, while the placebo dose did not. The 1000 unit dose did not show statistical significance. Should you wish to take TA-65, only take 250 units per day, not more. There is a strong correlation between cancer and telomere shortening. When cells are at the brink of dying toward the end of their life cycle the telomeres get shorter and shorter. This is the point where the cells can turn malignant. Certain genetic abnormalities help the malignant transformation, like 11q or 17q deletions or a p53-dependent apoptosis response. Once cancer cells have established themselves they activate telomerase in 85% of cases. In the remaining 15% of cancer cases telomeres are activated through telomerase-independent mechanisms. Here are a few examples. CLL stands for chronic lymphocytic leukemia. It is a disease of the aging population. At age 90 people’s bone marrow cells have a telomere length of only 50% of the length at birth. This is the reason that in older age CLL is more common. Researchers observed a population segment and found that the shorter telomeres were, the poorer the overall prognosis and overall survival for CLL was. Researchers examined the telomerase activity in patients with non-small cell lung cancer. When telomerase activity was present, the 5-year survival was only 55%. When telomerase activity was absent, the prognosis was 90% survival after 5 years. Prostate cancer risk correlated with telomere shortening in stromal cells. Men with shorter telomere length in stromal cells had a 266% higher risk of death compared to men with normal telomere length. Another study took blood samples and determined the telomere length in lymphocytes (the immune cells). Those men who came down with prostate cancer within a year after they had their blood sample, had short telomeres. The risk for prostate cancer in these patients was 355% higher than in the prostate cancer negative controls. Underwent surgery for clinically localized prostate cancer. Patients whose samples showed variable telomere lengths in prostate cancer cells and shorter telomeres compared to prostate samples with less variable telomere length and longer telomeres had a much poorer prognosis. They had 8-times the risk to progress to lethal prostate cancer. And they had 14-times the risk of dying from their prostate cancer. Breast cancer is diverse and consists of cases whose origins are genetic (BRCA1 and BRCA2), but there are also cases where the cancer is local or has a higher stage. In families with mutated BRCA1 and BRCA2 telomeres are significantly shorter than in spontaneous breast cancer. Increased telomerase activity in breast cancer cases is directly related to how invasive and aggressive the breast cancer is. In one study researchers analyzed blood leukocytes in 52 patients with breast cancer for telomere length versus 47 control patients. Average telomere length was significantly shorter in patients with a more advanced stage of breast cancer than in early breast cancer. Mutated HER patients had the shortest telomeres. It follows from this that checking for the HER status and blood telomere testing adds to the knowledge of potential cancer development and prognosis. In patients with with larger breast tumors, more lymph node metastases and more vascular invasion the researchers found short telomere length of the cancer cells. More aggressive breast cancer cells have higher telomerase activity. More than 90% of triple negative breast cancers have short telomeres. Dr. Rosenberg presented evidence for a correlation between shorter telomeres and the development of dementia. But dementias with Lewy bodies and Alzheimer’s disease are also linked to short leukocyte telomeres. The length of blood telomeres predicts how well stroke patients will do and how people with depression will respond to antidepressants. The renin-angiotensin-aldosterone system controls our blood pressure and keeps it constant. When this system is not stable, our blood pressure shoots up and causes cardiovascular disease. This is tough for the heart, as it has to pump harder against a higher-pressure gradient. A study of 1203 individuals was examining the connection between leukocyte telomere length and renin, aldosterone and angiotensin II activity. It concluded that oxidative stress and inflammatory responses affect the telomere length of leukocytes and that the more stress there is in the renin-angiotensin-aldosterone system, the more cardiovascular disease develops. The conclusion of the study was that the overall cardiovascular stress leads to shortening of leukocyte telomeres. Telomere length testing from a simple blood test will become a more important test in the future as hopefully the cost comes down (currently about 300$). It can predict the general aging status by comparing a single case to the general telomere length of the public. But it can also predict the cancer risk, risk for mental disease and cognitive deficits (Alzheimer’s disease). In addition your cardiovascular status correlated globally with this test. What are the options for the patient, if the test comes back with short telomeres? It allows you to change your lifestyle and adopt a healthy diet. You can exercise regularly, take antioxidants and meditate. There are even telomerase activators that are gradually becoming more known. They lengthen the telomeres. The cost of telomerase activators will likely still be a problem for some time. All in all telomere length tests are here to stay, but healthy lifestyle choices are the only tool for effective intervention at this point. This is good news: healthy lifestyle choices like non-smoking, exercise and avoiding non-processed foods are either free or have a reasonable price tag. Telomerase activators are big business and at this point not really affordable! Dr. Hal Blatman gave a talk about when food causes inflammation. He gave his talk on Dec. 9 at the 24th Annual World Congress on Anti-Aging Medicine (Dec. 9-11, 2016) in Las Vegas that I attended. The original title was “Food, Pain and Dietary Effects of Inflammation”. Dr. Blatman is the medical director of Blatman Health and Wellness Center, Cincinnati and Batman Medical Services, Manhattan. Dr. Blatman pointed out that mistakes of nutrition are often behind chronic diseases and illnesses. The physician’s task is to explain to patients how they can change their food intake to improve inflammation in the body and to allow the body to heal itself. Hippocrates said 400 BC “Let food be thy medicine and medicine be thy food”. In this context Dr. Blatman stated that nutrition could exacerbate symptoms or relieve symptoms and there must be rules for good nutrition. If we do not take care of our nutrition, the gut flora composition changes and causes leaky gut syndrome. But if we consume healthy foods all of this improves. G = stands for good, beneficial things you can put into your body. B = bad, toxic things that affect your body negatively. It is P (pain and other medical problems) what brings the patient to see the doctor. G and B is what the patient can change. 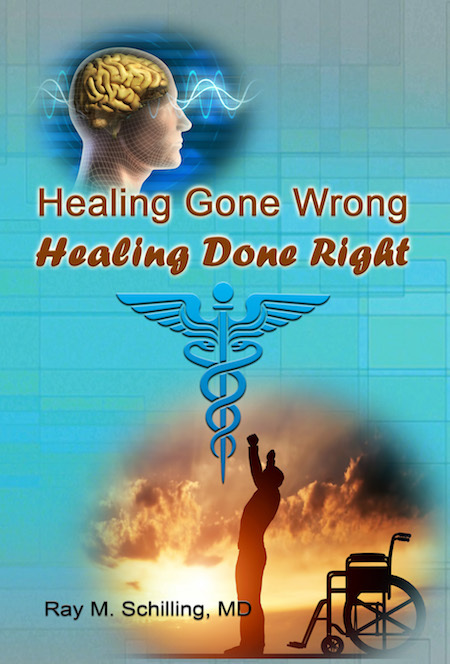 When done right, the P value in the formula reduces and the pain or medical problems go away. Dr. Blatman said there are three rules about nutrition. He listed NutraSweet, Splenda, Saccharin, margarine and olestra. Aspartame experiments on rats showed that it can cause cancer: Dr. Blatman said that aspartame causes multiple myeloma and Hodgkin’s lymphoma in man. Aspartame worsens depression, 10% is metabolized in the liver into methanol, a nerve poison. Splenda (sucralose) originates from sugar. However, several chlorine atoms were inserted into the sugar molecule. It reduces beneficial microflora in the gut. It also interacts with liver enzymes, which interfere with the bioavailability of oral drugs. Saccharin alters gut bacteria and increases glucose tolerance. Insects don’t eat margarine, mold will not grow on it, and it will not support life. Merchants like it because food does not turn stale on shelves. Hydrogenated fats like margarine are like poisons. They raise the bad LDL cholesterol levels and reduce beneficial HDL cholesterol levels. The prostaglandin balance changes so that inflammation occurs. There is increased evidence of diabetes and the cell membrane composition changes. Proinflammatory cytokines can cause pain in the dorsal root ganglions. It follows from all of this that it is best to cut out all hydrogenated fat and margarines. If we eat hydrogenated fat, we become like a “genuine GM truck fixed with inferior parts”, so Dr. Blatman. The interesting observation is that it takes 4 months after eliminating hydrogenated oil from the diet to get it out from red blood cells. Be aware that French fries increase pain for 4 months, so why eat them? Olestra, an artificial fat: This fat, Olestra has been developed as an artificial fat and is used in chips. It can cause diarrhea, abdominal cramps and weight gain with long-term use. Olestra belongs into the group of fake/toxic foods. Don’t eat Pringles or chips that are made with this. There are two types of essential fatty acids, omega-6 fatty acids and omega-3 fatty acids. Many processed foods contain only omega-6 fatty acids, because this is the cheapest way to produce them (they are based on vegetable oils). Instead you want to eat healthy fats like omega-3 fatty acids contained in nuts and fish. You can also add molecularly distilled, high potency omega-3 fatty acids (purified fish oil) as a supplement to help restore the balance between omega-6 and omega-3 in your food intake. Avoid omega-6 fatty acids from corn oil, safflower oil, grape seed oil, soybean oil, cottonseed oil, canola oil and peanut oil. The linoleic acid of omega-6 fatty acids gets metabolized into arachidonic acid, which causes pro-inflammatory mediators, PGE2 and LTB4. On the other hand with omega-3 fatty acids alpha-linolenic acid (ALA) is metabolized into EPA, DHA and the anti-inflammatory mediators PGE3 and LTB5. It is easily understandable why a surplus of omega-6 fatty acids from processed foods will disbalance the omega-6 to omega-3 ratio. This ratio should be 1:1 to 3:1, but many Americans’ omega-6 to omega-3 ratio is 6:1 to 18:1. Omega-6-fatty acids cause arthritis, heart disease and strokes. Be particularly careful in avoiding soybean oil, which is the most popular oil in the last few decades to foul up the omega-6 to omega-3 ratio through processed foods. When it comes to balancing omega-3 and omega-6 fatty acids in your diet, be aware that nutritional balancing can help you restore the ideal omega-6 to omega-3 ratio of 1:1 to 3:1. An easy way is to cut out processed foods as much as possible. Supplement with molecularly distilled fish oil capsules to add more omega-3 fatty acids into your food intake. Dr. Blatman gave the example of rheumatoid arthritis patients that were put on omega-3 supplements. After 24 weeks their joint swelling and tenderness went down. He mentioned that these doses are empirical, but in his opinion definitely help. Due to quality differences he suggested that you buy fish oil capsules in a health food store where the quality is best. Stay away from discount stores (the quality is the worst) and drug stores. Our body functions like a luxury car; it needs pure food to function. Anything less leads to inflammation, particularly when you eat sugar and processed foods. Inflammatory foods are sugar, white flour, fruit juice and white/red potatoes. A medium potato=1/2 cup of sugar! Other problematic foods are wheat grain contained in breads, pasta, cereal and thickeners in soups and sauces. What is the problem with these foods? They break down the zonulin proteins that are a bridge between the lining cells of the gut. This leads to an increase of intestinal permeability, and leaky gut syndrome can develop. Inflammatory cytokines from visceral fat add to the gut inflammation, and cardiovascular disease and high blood pressure can develop. Fried potatoes, in particular the consumption of French fries, have been identified as the cause of inflammatory bowel disorder (IBD). Countries with the highest consumption of French fries have the highest incidence of IBD. A Mediterranean diet and the DASH diet are anti-inflammatory diets. A healthy bowel flora is symbiotic with the body. You achieve this by eating green leafy vegetables. A toxic flora from dysbiotic microbes comes from eating white flour, white sugar and red meat. Red meat leaves residues on which dysbiotic bacteria thrive. Symbiotic gut bacteria produce vitamin K, cobalamin, pyridoxine, biotin, riboflavin, pantothenic acid and short fatty acids. They also degrade metabolic toxins, prevent pathogens from colonization and they stimulate the immune system to mature. Dysbiosis occurs when the wrong diet consisting of sodas, white flour, sugar and red meat is over consumed. There are toxins that are produced by the dysbiotic microbes. These injure the bowel wall and make the immune system work harder. Immune system dysfunction, fatigue and fibromyalgia can follow. Dr. Blatman stated that gut dysbiosis that causes leaky gut syndrome could also cause ulcer disease, diabetes, heart disease, fibromyalgia, chronic fatigue syndrome, chronic pain and even cancer. This was a whirlwind tour through a talk given by Dr. Blatman during the 24th Annual World Congress on Anti-Aging Medicine (Dec. 9-11, 2016) in Las Vegas. What food we eat determines what gut bacteria we harbor, symbiotic ones or toxic ones. This in turn determines which way our health develops. But the content of what we eat is also important. If we consume processed foods we end up consuming way too many omega-6 fatty acids, which cause inflammation, arthritis and heart disease. This is happening in front of our eyes, if we start seeing things the way they are. I was aware of this since the mid 1990’s. In a lecture I attended at a continuing education conference a cardiologist pointed out that inflammation was the determining factor of whether or not our patients would get a heart attack. The lecturer mentioned then that the older cholesterol concept would be replaced by the newer inflammation concept. He was right, but it goes even further! There is the important omega-6 to omega-3 ratio, and fish oil supplementation helps. At the same time it is necessary cutting out processed foods. But there is the newer insight that our bowel flora and red meat consumption can culture toxic bacteria in our own gut. It is in our power to start eating more vegetables and cut out sugar and starchy food. It is time to see chips and French fries not as a “convenience” but a hazard to your health. Food does not have to cause inflammation; right food choices will help us to stay well and live longer. Dr. Tasneem Bhatia, also known as Dr. Taz gave a lecture about weight gain in menopause. This was part of the 24th Annual World Congress on Anti-Aging Medicine (Dec. 9-11, 2016) in Las Vegas that I attended. The full title of the talk was “Hormone Balance and Weight Control in Menopausal Women”. 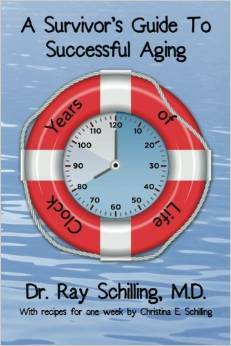 Dr. Taz practices integrative medicine at CentreSpring MD, Atlanta. GA. 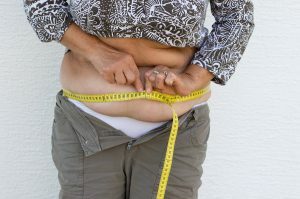 Weight gain in menopause is common. There are 50 million women who suffer from this in the US. Globally 300 million women have this problem. The average weight gain is between 5 and 50 pounds. There may be a small percentage of women where a genetic component comes in, and where all the females in the ancestry had a weight problem after menopause. But we do not know for certain what is genetic and what is due to hormone deficiency. It is only in the last few decades that doctors have determined how important hormone deficiencies are in menopause. 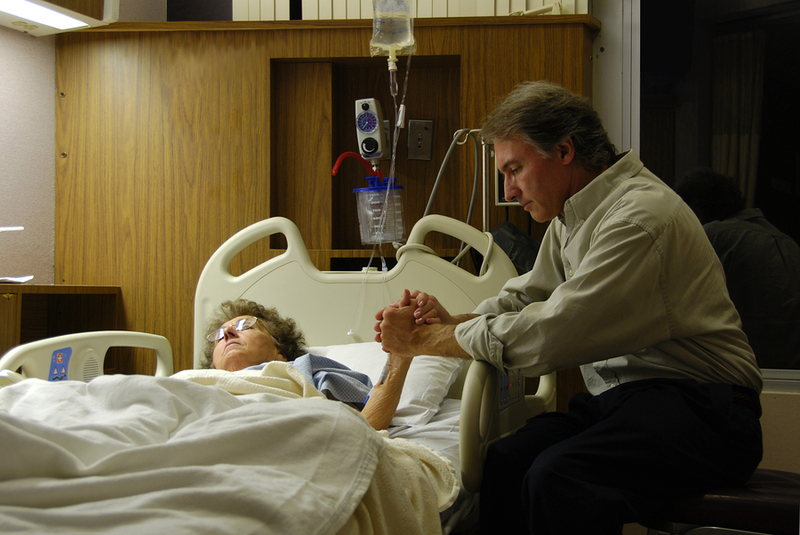 About 10 million women who are over 40-years-old need treatment in long-term care facilities. We will see below that when physicians incorporate this knowledge into a treatment schedule, the weight problem can normalize. It is possible to reduce the costs of taking care for postmenopausal women with obesity and diabetes by 2/3 of these cases. There are three intertwining aspects that drive weight gain in menopause. There is an altered metabolic rate, and less calories are burning, which makes you gain weight when you eat the same amount of calories. Secondly there is a significant decline of three key hormones, estrogens, progesterone and thyroid hormones in menopause. Third, as the weight rises and the other mentioned hormones are missing, it is harder for the pancreas to keep up with insulin production and insulin resistance develops. I will explain this further below. 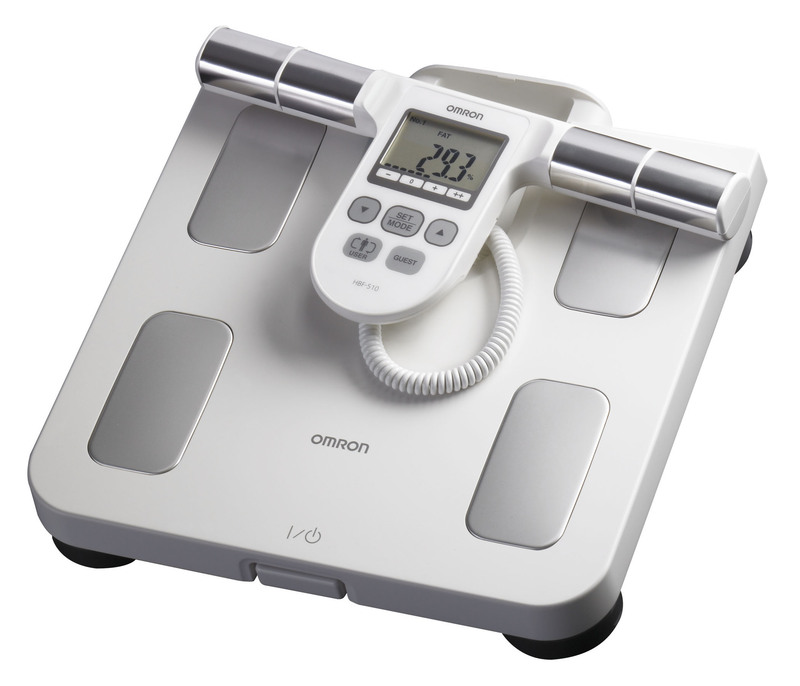 With the lack of the ovarian hormones there is a slowing of the resting metabolic rate. There is also is a decrease of energy expenditure from reducing fat oxidation. Overall there is less need to consume the same amount of calories as before. But the hormonal changes trigger hunger and cravings. With ovarian aging there is less estrogen production in the ovaries. This leads to less ovulation in the premenopausal period. A lack of ovulations creates a lack of progesterone production. When there are anovulatory cycles, there is no progesterone producing corpus luteum reducing progesterone production further. When estrogen and progesterone are missing, this is a stress on the thyroid gland that is trying to partially compensate for the lack of the ovarian hormones. Eventually though there is permanent thyroid hormone production and hypothyroidism sets in. This is very hard on the adrenal glands that produce cortisol. For some time the adrenal glands can compensate for missing thyroid hormones with cortisol overproduction. But in time adrenal gland fatigue develops. Insulin resistance can lead to diabetes, which becomes a real menace together with the metabolic changes of obesity. Dr. Taz pointed out that around the time of menopause there are very specific risks that have to do with the metabolic changes. There is a definite risk for heart attacks and strokes as LDL cholesterol and triglycerides show an increase and arteries calcify from circulating calcium leaking out from the bones into the blood stream. Osteoporosis is common in menopause; the brittle bones lead to an increased risk of fractures in the hips, wrists and vertebral bodies. Postmenopausal women also risk increase of cancer, particularly breast cancer and colon cancer. The higher the weight, the more risky it is for these women to get one of these cancers. Alzheimer’s disease and cognitive decline is also very common in menopause. This may be directly related to a lack of estrogen and progesterone, but may also have to do with overconsumption of sugar and starchy foods. Hormone changes in menopause can be complex. It is not only about a lack of estrogens and progesterone. All hormones work together. When there is weakness in one area (in the ovaries with menopause), this condition will affect the hormones that are acting in the same way or in opposition to ovarian hormones. In this way it is understandable that the thyroid gland can develop a weakness (hypothyroidism) or why the adrenal glands are over stimulated first, but later suffer from adrenal fatigue. In a similar way the pancreas produces too much insulin, partially because weight gain stimulates this. Typically the physician finds the fasting insulin level elevated with menopausal obesity. But as insulin levels are too high, the body’s insulin receptors get lazy and do not respond fully to insulin anymore. The name for this condition is insulin resistance. In time insulin resistance can lead to diabetes. A lack of estrogen in menopause is likely the single most important reason for weight gain in menopause. As estrogen secretion declines, visceral obesity increases. In addition there is an impairment of insulin regulation. With obesity there is an additional risk of developing diabetes. Progesterone is the other female hormone that is reduced with menopause. Bioidentical progesterone cream can prevent osteoporosis and hot flashes in menopause. Bioidentical progesterone replacement can also help a menopausal woman to sleep better. In menopause the production of progesterone goes down by 75% while estrogen production drops down by 35%. Menopausal women often suffer from hypothyroidism (with elevated TSH blood tests). Weight gain is often part of this. As a result it is important to check for hypothyroidism in menopausal women. It is important to check for micronutrients like iodine, selenium and iron and if they are low, supplementation may be necessary. Some women develop an inflammatory thyroiditis, called Hashimoto’s disease. A thyroid nuclear scan can confirm this. The reason this is important to recognize is that after several years when it burns itself out, hypothyroidism develops often, which requires thyroid hormone replacement. The cortisol response to stress is suboptimal due to the decreased progesterone levels in menopause. Progesterone is a precursor of cortisol, so in menopause not enough of it is around to synthesize cortisol. But in a group of menopausal women following a significant stressful event cortisol production was much higher than in non-stressed women. Other hormones like leptins and melatonin are also contributing to weight gain in menopause. In rat experiments performed ovariectomies (mimicking menopause) and there was a clear relationship between low estrogen levels and weight gain. Higher estradiol doses inhibited leptin expression resulting in weight normalization. Leptin and melatonin are influencing insulin regulation. 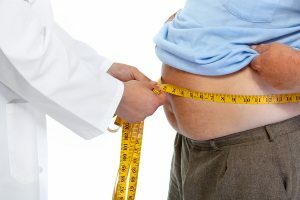 This can in time lead to diabetes in connection with weight gain. It is at this point when a woman’s body shape can turn from a healthier pear shape to an unhealthy apple shape. 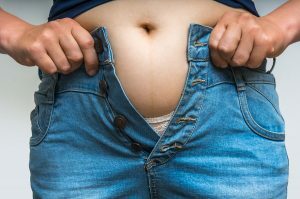 The extra visceral (abdominal) fat is very active metabolically and causes inflammation in the body. These changes can lead to high blood pressure, heart attacks, strokes and digestive dysfunction. How do you treat a complex problem like weight gain in menopause? 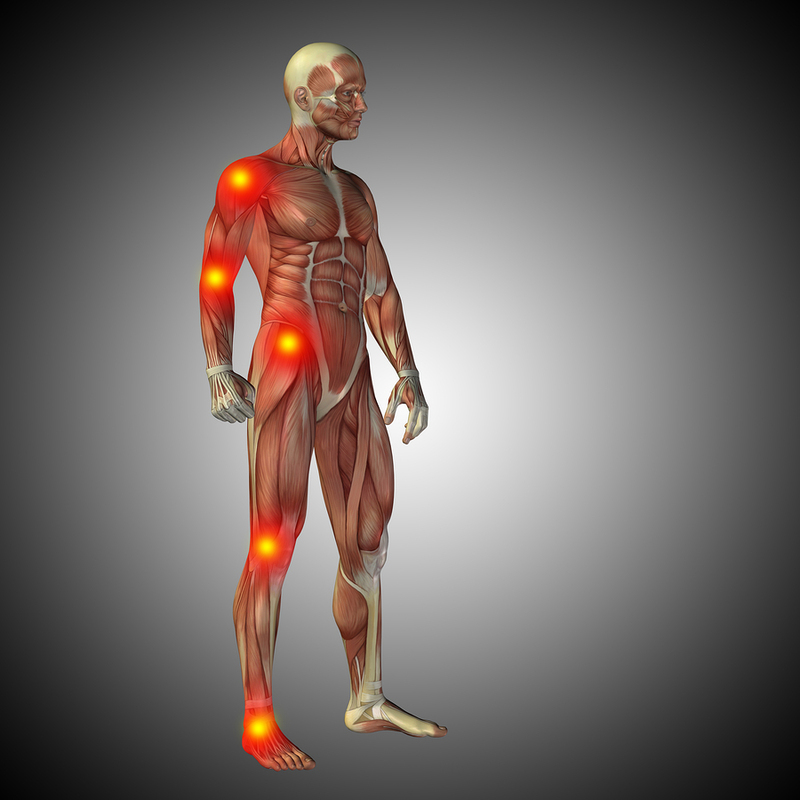 It is no surprise that this will require a number of treatment modalities in combination. It is important to start on an anti-inflammatory diet like the Mediterranean diet. Any extra sugar should be cut out as surplus carbohydrates lead to fat deposits and higher blood lipids. Dr. Taz suggested a 1200-calorie diet. Reduce salt intake. Eat more food during the day until 4 PM, nothing to eat after 8 PM. Increase plant-based foods, lower or eliminate trans fats. Increase foods rich in probiotics (bifidobacteria) like kefir, yogurt and kombucha. Do some exercise in a gym where you combine a treadmill for 30 minutes with 25 minutes of weight machines for strength training. Aim for doing this 5 times per week. But it would be more beneficial doing it every day. Have additional activity bursts on and off during the day. Exercise has been shown to increase HDL cholesterol, which protects from heart attacks and strokes. Supplements like adaptogens help the adrenal gland to better cope with stress. These are available through your health food store. Meditation, yoga, self-hypnosis will all help to refocus and protect you from stress. B-complex vitamins and vitamin C strengthen your immune system and give you more energy. Building and maintaining community is another factor in reducing stress. Many postmenopausal women have poor sleep habits, partially from hot flashes (due to estrogen deficiency), partially from melatonin deficiency and also from progesterone deficiency. In the next section I will describe how to normalize these hormones. But in addition you need to educate yourself to go to bed between 10 PM and 11 PM every night and to sleep 7 to 8 hours. If you go to bed later, you will disturb your diurnal hormone rhythm and this will interfere with a normal sleep pattern. There is an age-related reduction of melatonin production in the pineal gland. This is why many postmenopausal women are deficient in melatonin. You may need 3 mg of melatonin at bedtime. If you wake up in the middle of the night you could take another 3 mg of melatonin. You may experience a few nightmares as a side effect; otherwise melatonin is very well tolerated. The complex hormone deficiencies described above are responsible for the many symptoms of menopausal women including weight gain. It is important to work with a knowledgeable health care provider who knows how to prescribe bioidentical hormones. Typically blood tests and possible saliva hormone tests are done before replacement. This establishes which hormones have to be replaced. Typically bioidentical progesterone is replaced first. Secondly, estrogen is added as Bi-Est cream, if blood levels indicate that it is low. If thyroid is required because of a high TSH level (meaning hypothyroidism) supplementation with Armour or a similar balanced T3/T4 combination is started. If fasting insulin levels are high, the doctor may want to start metformin as this is known to normalize insulin resistance. Blood tests have to be repeated from time to time to ensure adequate hormone levels. Every woman treated will likely require different supplements. But magnesium is one mineral that is often missing in the diet. 250 mg of magnesium twice a day will be enough for most women and men to balance internal metabolic reactions. Magnesium is a co-factor to many enzyme systems. Vitamin K2 (200 micrograms daily) and vitamin D3 (around 4000 to 5000 IU per day) in combination are important to prevent osteoporosis. Apart from these there are many options to take other supplements. Ask your healthcare provider what you should take. This was a fast review of what Dr. Taz explained in a talk about weight gain in menopause. There are complex hormone changes that need to be addressed. Patients with menopause need to follow a well-balanced diet like the Mediterranean diet. 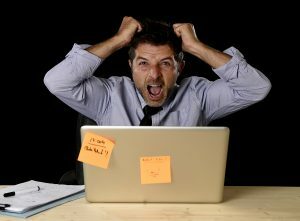 Stress management skills need to be learnt. A regular exercise routine needs to be followed. Healthy sleep patterns have to be reestablished. And missing hormones need to be replaced not in synthetic forms, which are toxic to the body, but in the bioidentical forms. Postmenopausal women will feel better when this comprehensive treatment program is in place; and in time they will feel normal again.